The most stunning island I’ve ever seen! A volcanic, oval-shaped island, in the most southern region of Korea has phenomenal natural beauty, historical legacies, quirky museums, and array of water sports, which makes it one of the best vacation spots in Korea. Jeju daily tour of SOUTH Course includes the most attractive tourism attraction in SOUTH side of Jeju with reasonable price!! 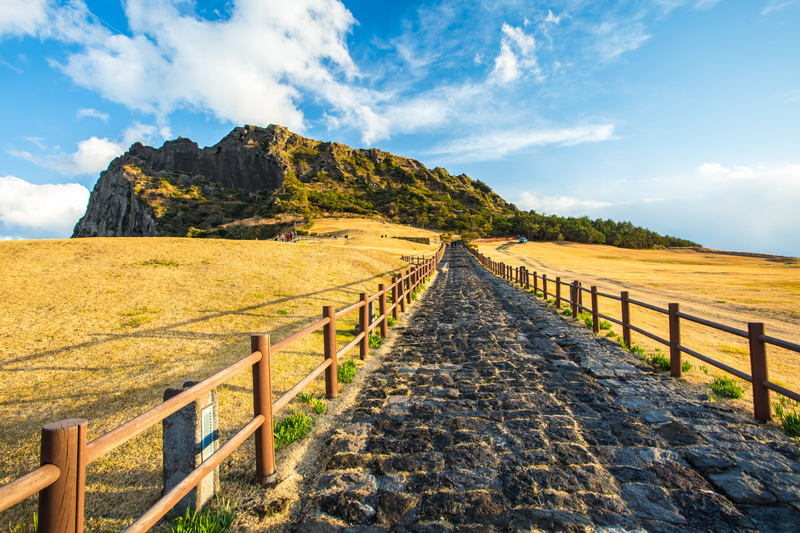 The Jeju Mysterious Road, also known as Dokkaebi Road, lies on a hill at the foot of a mountain, and connects two major highways on Jejudo Island. It has earned its name, as objects and liquid appear to roll and flow up the hill instead of down, when, in fact, such image of gravity defiance is an optical illusion rendered by the seemingly high surroundings. 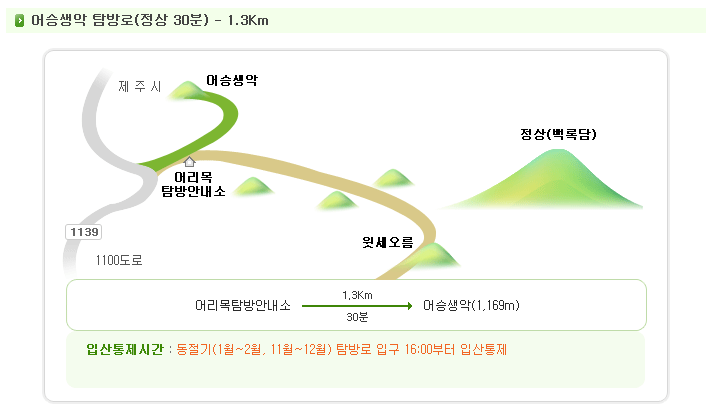 Eoseungsaengak Trail starts at Hallasan National Park Visitor Center and continues of to Eoseungtaeng-oreum Summit. The trail is 1.3km long and a one-way trip takes 30 minutes. 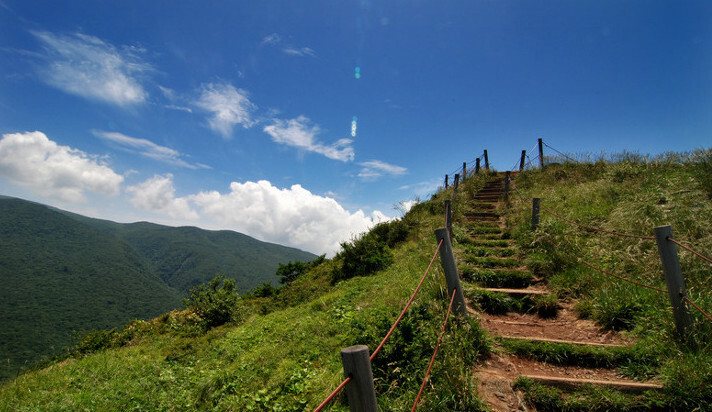 Eoseungsaengak is an oreum (parasitic cone volcano) for hikers who want to go for an easy stroll after visiting the Visitor Center. On clear days Chuja Island, Biyang Island, Seongsan-Ilchulbong and Jeju Island’s east oreums can be seen. At the summit there still remain some Tochikas, which were military facilities used by the Japanese during the occupation of Korea. ** Rainy Day Alternative Tour Course: Glass castle Jeju Glass Castle opened in October 2008 as the nations first glass museum. Guests are able to experience state-of-the-art glass art. The museum boasts a modern glass exhibition and a coffee shop among its offerings. Works by Italian, Japanese, and Czech artists are on display, and their works depict scenes from fairy tales and other stories like Jack and the Beanstalk and Cinderella. We also have glass shoes, pumpkins, and traditional statues on display. Guests can make their own glass vases or necklaces. Jeongbang Fall is only water fall in Asia that falls directly into the ocean. On the wall of the water fall, there is an inscription written ""Seobulgwacha"", referring to Seobul passing by this place. Seobul was a servant of the Chinese Emperor Jin (BC 259~210) who was ordered by the Emperor to find the substance that would make him immortal. Seogwipo is also said to have gotten its name to mean Seobul headed back west. Jeongbang Waterfall is situated by a high cliff by the sea, and an old evergreen stands there leaning back as if it would fall into the ocean. 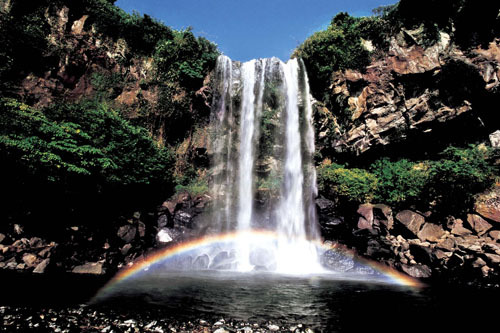 `Go east for about 300 meters and you will see another waterfall called Sojeongbang Waterfall. It is a great place to relax during the summer. There is an observatory at the top of the cliff, from which you can command a fine view of the sea. Yakcheonsa was built in the Buddhist style of early Joseon dynasty in the height of 30 meters (same as a 10 story building) and the size of 3'305 square meters boasting to be the largest temple in Asia. At the front of inside of the Sermon Hall,5 meter high Buddha sculpture Birozana Buddha sits on a 4 meter high base and huge pictures of Buddha have been carved on each side. A temple bell weighing 18 tons is hanged on the belfry in front of the hall. Not only buddhists but also tourists visit this temple to pray for their wishes. 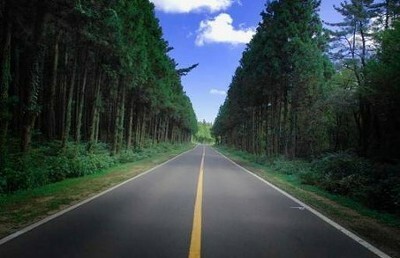 If you follow the farm road 600 m to the southwest from Depo-dong, at the end of the pine tree forest is a cliff. At the base of this cliff is the Jisatgae Coast along with the imposing stone pillars. The Jusangjeolli are stone pillars piled up along the coast and is a designated cultural monument of Jejudo Island. The Jusangjeolli was formed when the lava from Mt.Hallasan erupted into the sea of Jungmun. They are rock pillars shaped like cubes or hexagons of various sizes and almost seem as if stonemasons had carved them out. The administration of the district named them ""Jisatgae Rocks"" from their old name ""Jisatgae"". Its 20 m cliff makes it a popular spot for high tide, sea angling. The waves of the high tides crashing into the side of the cliff provide a breathtaking view of the ocean surrounding the pillars. Our mission is to make every step of your tour simple! Traveling should be all about playing and no hard work, don’t waste your time to find your way! Simply travel with CosmoJin, we will do the rest. With so many activities waiting to be discovered, our goal is to connect travelers with the experiences you want and need! With the professionally trained guides from Cosmojin, offering the best of the best tour for you. 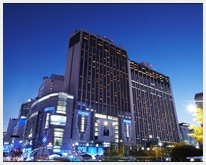 The perfect tour will make your travel and memories of Seoul special. Cosmojin is always after the professionalism.